In a new tell-all book The Talk host Sharon Osbourne comes clean about separating from husband Ozzy Osbourne several months ago when she found out he was back on drugs. She says she even found texts in his cell phone to his drug dealer. 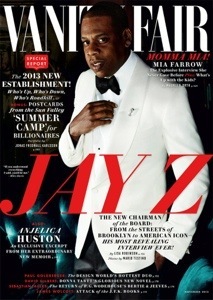 Jay-Z just gave a very intimate interview to Vanity Fair, where he says dealing drugs helped him be a better businessman later. He also talked about the new sports management division of Roc Nation and said he really just wanted to help athletes hold on to their finances, because so many of them loose their money after they play. In the same issue of Vanity Fair, Mia Farrow dropped a 25 year old bomb recently, that her son Roman may not be Woody Allen’s son , but ex-husband Frank Sinatra’s son. Mia and Franks were married from 1966-1968, then divorsed but still messed around. The son does not even talk to his supposed dad Woody and despises the fact that he ran off with adopted daughter Soon Yi and married her. Miley Cyrus and Mom Open up on MTv TONIGHT!! Miley The Movement Airs Oct 2 at 10/9c. Miley and mom Trish Cyrus seem to have a really healthy relationship. Maybe Miley’s not out of control after all. Our favorite celeb douche bag has just reached a new low. While visiting the Great Wall of China, Beiber had his bodyguards carry him, instead of respecting the experience and walking the distance himself. I finally understand what people have been saying such as Wendy Williams, “He’s just a jerk. He doesn’t have common decency,” said Wendy on Oct 2.